Square Enix recently ran an interactive reveal event on the popular video platform and community website Twitch. The event forms part of a clever, mystery-ridden online marketing campaign, similar to the one Microsoft is using to promote its upcoming Halo game. And many gamers thought the Japanese publisher would either reveal a new Hitman or Deus Ex game. The mystery is over though, because a Russian website leaked screenshots and details of a new Deus Ex game, titled Deus Ex: Mankind Divided. And this was later confirmed by US video game magazine Game Informer, which will feature the game on their May 2015 cover. 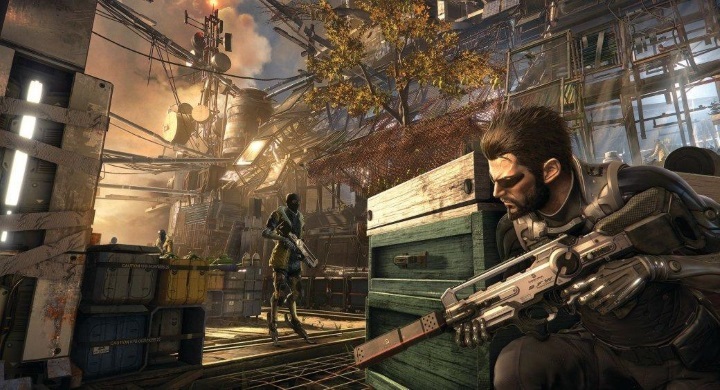 The upcoming Deus Ex: Mankind Divided will be a sequel to 2011’s Deus Ex: Human Revolution, which together with Bethesda’s Skyrim was certainly one of the best games of 2011. Deus Ex: Human Revolution was a sci-fi role playing game which took place in 2027, set in a futuristic world in which large corporations have developed “augmentations” which let humans run faster or enjoy superhuman vision, for instance. 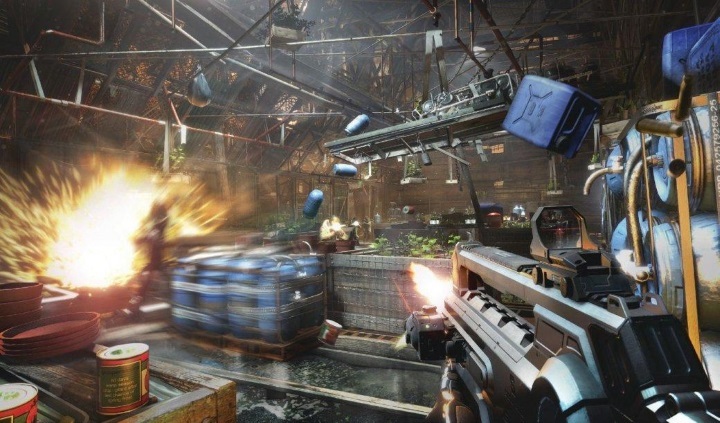 And the game’s protagonist Adam Jensen, who is Chief of Security of a major biotech company, ends up being augmented after a violent attack on his company’s headquarters. Like its predecessor, Deus Ex: Mankind Divided has an atmosphere reminiscent of Ridley Scott’s Blade Runner. The game’s plot took Jensen all around the world to unravel a massive conspiracy, in which secret societies like the Illuminati and rival corporations were involved. And certainly one of Human Revolution’s strong points was player choice, as it was possible to resort to combat, stealth, hacking or simply talking one’s way out of difficult situations. And the upcoming Deus Ex: Mankind Divided follows on the footsteps of the previous game, as it takes place in 2029 (two years after the previous game), and will feature the same protagonist, Adam Jensen, and the same amount of player choice. According to Game Informer, in the game Jensen will “hunt down and capture augmented terrorists in a world that now hates and fears transhumans”. But since Adam Jensen himself is augmented, it will be interesting to see how characters in the world react to him, will our protagonist become a marginalized hero and end up switching allegiances? And speaking of augmentations, the game will offer new gameplay possibilities, as Adam Jensen’s new augmentations will allow “the ability to remote hack electronic objects, fire off his nano blade from a distance, and surround himself with a nearly indestructible nanoshield”, according to Game Informer. 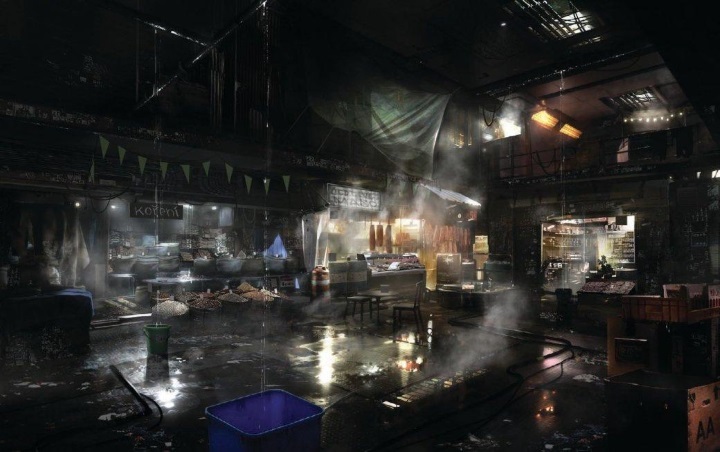 And it seems that the firefights in Mankind Divided will be even more intense that in the previous game, as the objects in the world will react realistically to bullets and explosions, as seen in the screenshot below. An augmented agent like Adam Jensen sure is a deadly force in combat. Also the game will let players customize their weapons to their heart’s content, not only by adding silencers and laser sights like in the previous game, but also by choosing ammo types and firing patterns, as shown in the screenshot below. 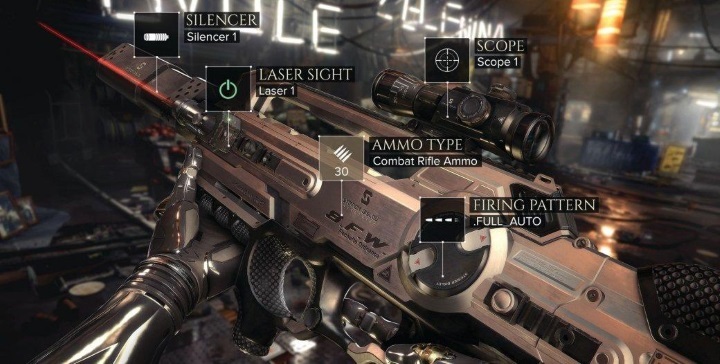 It seems you will be able to upgrade your weapons to your heart’s content in Deus Ex: Mankind Divided. All in all, it looks like Deus Ex: Mankind Divided could be a great successor to one of the best role-playing games of recent times, and surely fans of the Deus Ex series will be holding their breath for this one. Note: A release date for Deus Ex: Mankind Divided has not been announced yet. The game will be released on PS4, Xbox One and PC.